Now that we think about it, pirating might not be such a great gig. It seems like maybe movies and books have romanticized it a bit too much. But we won't hold it against you if you wanted to keep the fun, unrealistic pirate fantasy in your head going as long as you want. 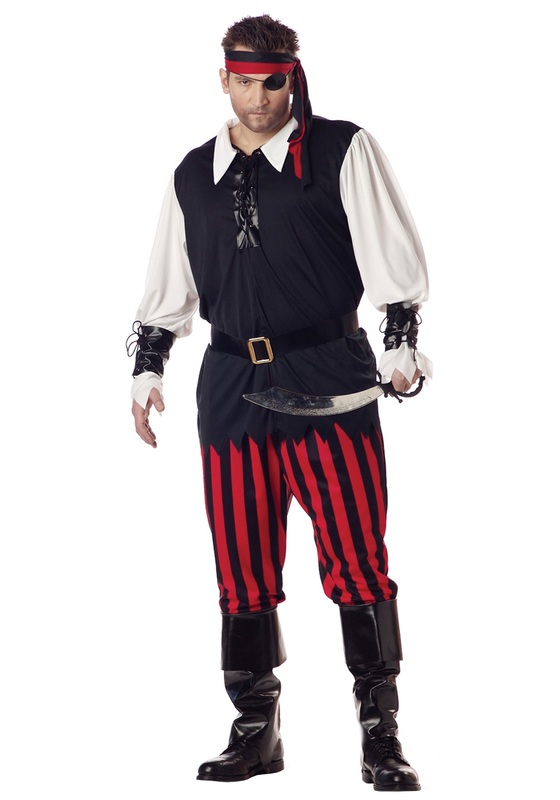 In fact, we've got this cool Cutthroat Pirate Costume to help you out, it seems pretty great with no scurvy in sight. This costume is perfect for Halloween or just any random pirate party. It's a durable 100% polyester interlock knit fabric, with a look that shouts "Yo ho and a bottle of fun." The costume also comes with a bandana and faux leather boot covers with an elastic band on the bottom. Grab one of our pirate swords from our accessory store and you'll be dancing jigs in no time. Just try to limit the excitement to pretend pirating, because, really, who wants to live without convenient nearby fast food? We'll pass.